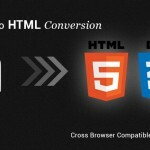 PSD to HTML5 conversion is the latest web strategy that is implemented by leading industries all over the world. Adobe Photoshop supports PSD file format. Now, converting PSD to HTML5 lets users access a website in multiple browsers with added benefits of device support storage and SEO for better visibility. In association with a reliable web development company, you might be able to convert PSD to an appealing cross-browser compatible website. A website enabled with the current version of HTML standard, consists of canvas elements that are useful to designers, along with search engine optimization semantic markups. Outsourcing web developers draw inspiration from their previous projects, in which they surpass traits by integrating creative ideas. They might be market leaders who excel in delivering PSD to HTML5 CSS3 Conversion services in India & also provide maximum guidance and understanding of their clients. Moreover, they transform the code of Photoshop documents through hand-coded markups to match all satisfactory parameters. What are the dynamic features of PSD to HTML5? 1. Multiple Browser compatibilities: An expert web architect would be ready to code top class XHMTL or CSS markup. The resulting website would be highly flexible across specific gadgets and browsers. 2. Advanced accessibility: Many kinds of HTML5 elements assist in making you comprehend the composition of any web page. 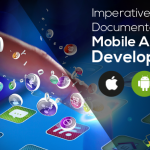 Just keep an eye on the HTML5 elements and leave the rest to experienced developers. 3. Dedicated services: PSD to HTML5 conversion services from expert developers are notably steady. It defines coding a web page in a smooth manner. It can be comprehended in an easier way by developers and designers to understand the strategies, in which a web page is nicely constructed. 4. 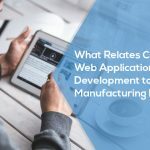 Smooth integration with CMS: HTML5 conversion service can offer a combination of markup with open source CMS. A few examples of open source CMS are Drupal, Joomla, WordPress, Modx, Social engine, TextPattern etc. 5. Using fewer plugins and scripts: HTML5 makes it easier to load media scripts and plugins. Also, you can manually lessen the loading time of plugins. 6. Graphical representation support: Get your site’s visual appearance soar up to a new level with high-quality visual representations. The loading time improves too. 7. Developers upgrade semantic service with a valuation of web pages: PSD to HTML5 CSS3 Conversion services can let us use the latest semantic values and coding that improves the performance of the website. 8. Recognizing the worth of Technology: The destiny of UI era is HTML5. From conversion service providers, you’ll receive the great markup feasible for HTML5, which offers unique forms of tags and elements, as per the modern layout. 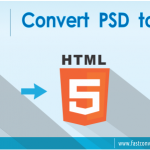 Converting PSD to HTML5 will help in reaching more audience and turn them into leads. A quality website will let your users feel connected to your brand and expand your network. 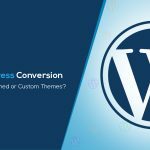 Hire an experienced conversion partner like Fast Conversion – A Web Development Company who would be able to transform your business outlook by putting the latest web technologies to proper use.